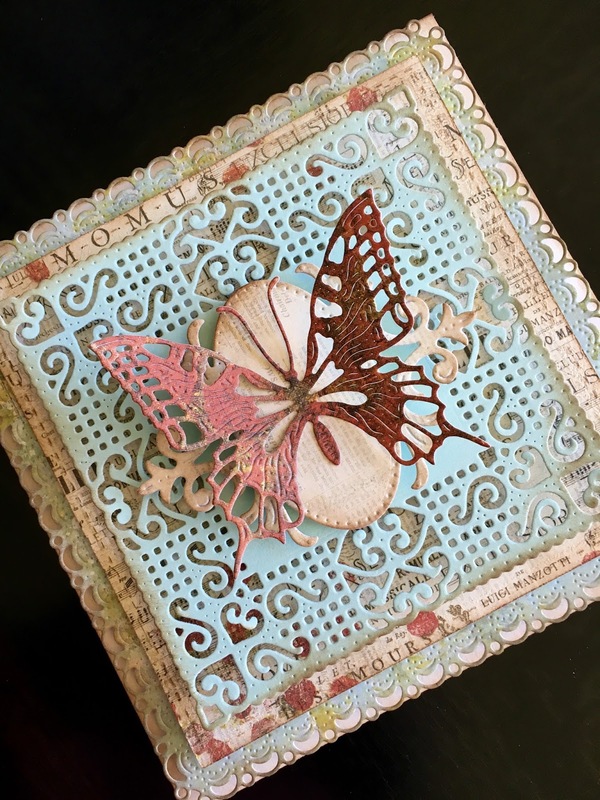 Hi there, today Cheery Lynn Designs has a new release and I have a pretty card to share with you using gorgeous new dies. To start my card I cut a 5.5" square card than I die cut a Horizon Square Boutique Stacker Frames and add it it to my card front. Than I die cut a square using the Square Stitch and Cut Tool - LG Silver Stitch Tool die. Next I die cut the pretty doily using Lords And Commons Square Doily. Next I die cut Quadrafoil Tag and placed it in the middle of the card and finally I die cut the Monarch Butterfly and added it to my tag. 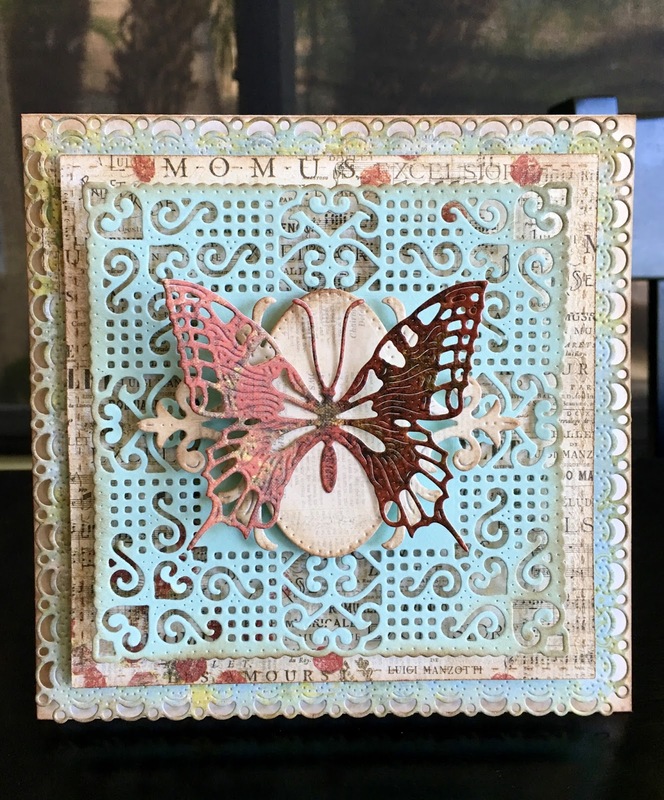 Hope you like these new dies and the card I created with it and make sure you hop over to the Cheery Lynn Designs Blog to see what my design team mates created with other brand new beautiful dies.